Located on 109 acres in the Township of Sugar Creek, the exclusive estate lots of Carpenter Creek are thoughtfully designed to compliment your home and your lifestyle. These home sites are minutes from area hospitals, shopping centers, and restaurant & entertainment venues. 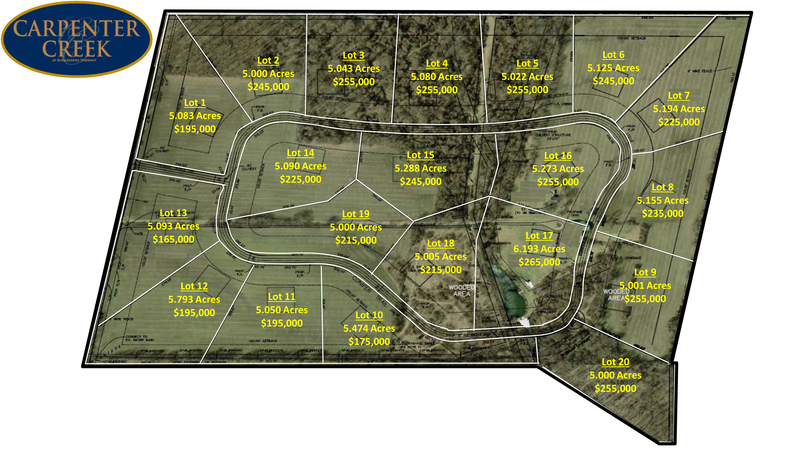 5 acres and above lots starting at $165,000.